Hurricane Harvey didn’t stop the Houston Astros and it’s not stopping the students of the Gulf Coast region. 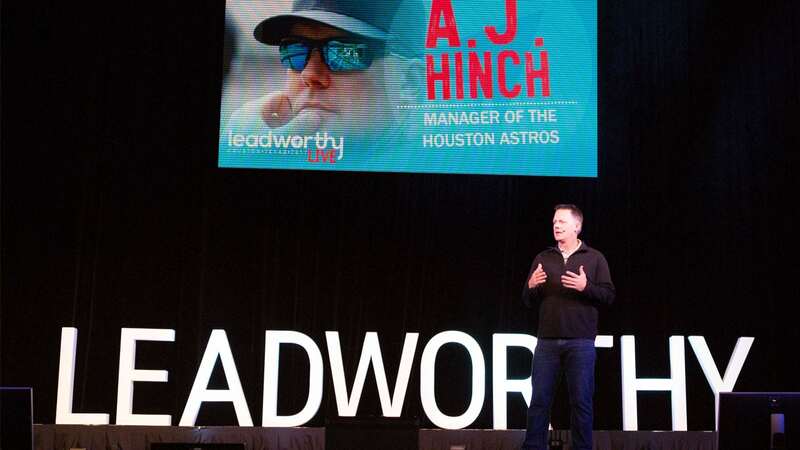 Five weeks after a Category 4 hurricane flooded Houston, Texas, more than 1,500 student leaders gathered for the inaugural Leadworthy Live event in a venue previously used as a hurricane relief center. Fresh off his World Series win, students and educators heard from Astros manager A.J. Hinch and were captivated and inspired by talks from entrepreneurial illusionist, Vinh Giang; LTG (Ret.) Robert VanAntwerp; Guiness Book of World Records Holder Gabi Ury; and Flippen Group founder, Flip Flippen. Student leaders and educators were brought to their feet by exhilarating performances from NBC’s The Voice contestant, Courtnie Ramirez; and from the 5th Ward Men of Distinction and Sisters of Distinction stomp teams, founded by Dallas DJ Rock-T. Finally, the students were challenged to #BeRemarkable.